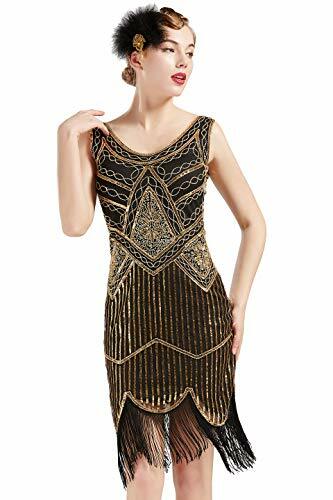 Dress Size Chart: Size ---- Bust -------- Waist -------- Hip --------- Length XS ----- 32.2" -------- 26.7" -------- 33.8" -------- 44" S ------- 33.8" -------- 28.3" -------- 35.4" -------- 44.4" M ------ 35.4" -------- 29.9" -------- 37" ----------- 44.8" L -------- 37" ---------- 31.4" -------- 38.5" -------- 45.2" XL ----- 39.3" -------- 33" ----------- 40.1" -------- 45.6" XXL -- 41.7" -------- 34.6" -------- 41.7" --------- 46" Note: The length of the skirt contains tassels. 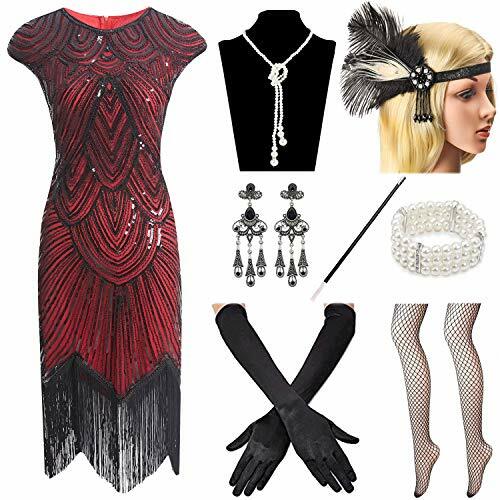 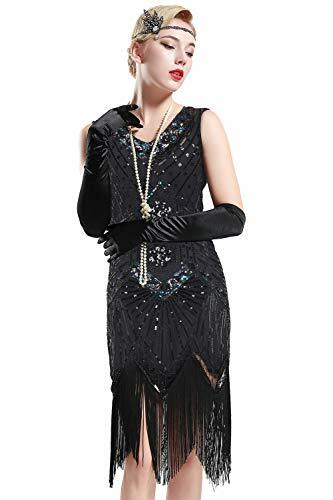 Package: 1 x Sequin Dress 1 x Cigarette Holder 1 x Long Satin Glove 1 x Feather Headband 1 x Pearl Necklace 1 x Earring 1 x Pearl Bracelet 1 x Fishnet stockings Ideal for Halloween costumes or for costume parties with a dress up theme of the Roaring 20's. 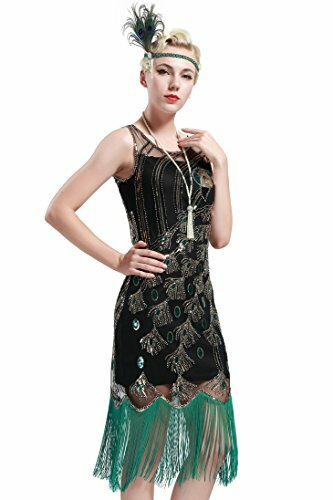 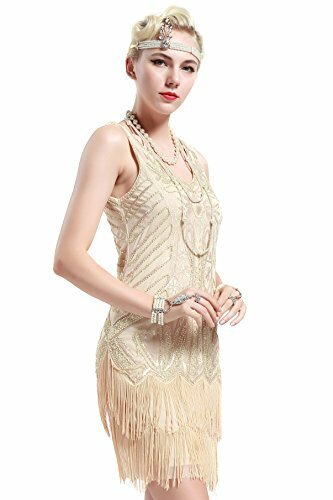 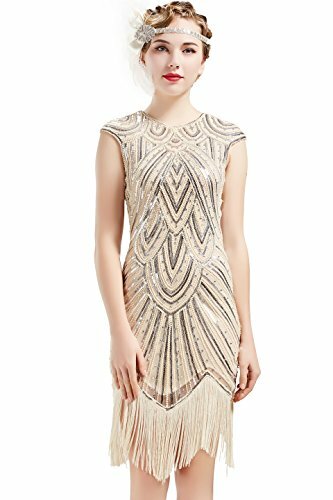 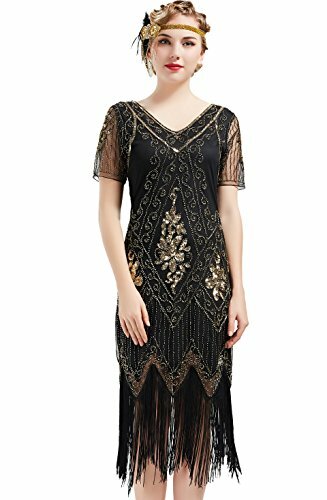 DOLCE GABBANA FLORAL SILK FRINGE LACEUP FLAPPER DRESS AS FROM "THE GREAT GATSBY"